Both played the full ninety minutes and Barton came close to scoring with a free kick in the first half. However, it remained 0-0 at half time and there was almost an hour gone when the first goal came. Ntumba Massanka (pictured) got it, holding off a defender before lobbing the ball over the Middlesbrough keeper, but it was a lead that lasted just five minutes with Boro equalising at the second attempt after a good save from Conor Mitchell. Middlesbrough hit the bar close to the end and Brandon Wilson saw a header saved. 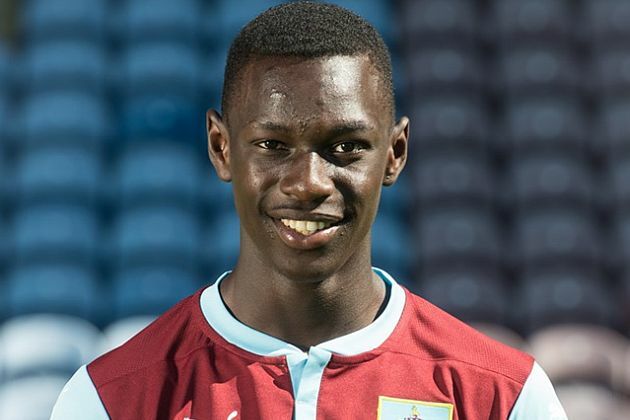 The Burnley team was: Conor Mitchell, Alex Whitmore (Trialist 73), Trialist, Kevin Long, Luke Hendrie, Aiden O'Neill (Renny Smith 73), Joey Barton, Brad Jackson (Brandon Wilson 82), Jamie Frost (Steven Hewitt 73), Daniel Agyei, Ntumba Massanka.